“Terrorists are not born, they are made” is a saying that I’ve heard quite a number of times. All one needs is common sense to agree with that. But the reason I am writing this post is due to my concern on people trying to curb terrorism without paying attention to the influencing factors that make people terrorists. I for one feel its better to remove a tree from its roots rather than just chop it off superficially! An instance worth mentioning is that of ‘Tariq Ahmad Dar’, the Kashmir model who was pursuing his career in Bangladesh as a model and actor. He was abducted by the Bangladeshi Rapid Action Battalion (RAB) on charges of being a terrorist and linked to the Al-Qeada, after 6months in jail and continuous pressure from the media and various Human Rights’ Activists, he was finally released on account of insufficient evidence against him. In a documentary on NDTV, he mentioned how life has actually changed for him and how he cant be his normal self again after the abduction. He was kept for days together in an empty room with his eyes closed and no one would listen to what he had to say! Tariq has come back to India and is trying to live his normal life, which shows his mental and emotional strength. But not everyone can be a Tariq. This can prove lethal, as if the person is not mentally strong, he may loathe everyone and be hungry for revenge. The result is yet another one who strays into terrorism. A movie that I watched last week called “New York” is also based on this very issue. But it brings out the happenings in the aftermath of the 9/11 World Trade Centre crash. It shows how the Muslims were targeted and over 3000 suspected and taken for investigation, and about a year later around 1000 who were seen innocent were released. The movie is about three Muslims who were in the US after the 9/11. One of them a character called Sameer (played by actor John Abraham) was in detention for being a suspect (for clicking photographs of the WTC for his project at college), he was tortured and he ended up becoming a terrorist just to seek revenge. 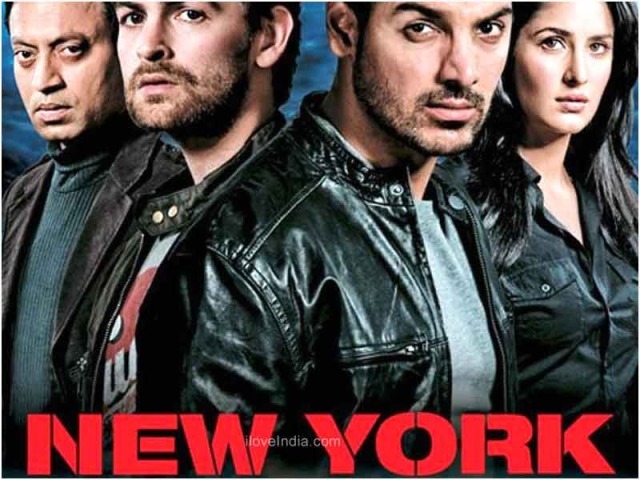 His best friend Omar (played by actor Neel Nitin Mukesh) tries to bring John Abraham back from the wrong path that he has chosen and the third Roshan (played by the versatile actor Irfan Khan) is a FBI agent who actually is trying to eradicate terrorism in order to remove the hatred mark of ‘Terrorists’ from over the Muslim Community! I should say a very well shot movie. One of the few Bollywood movies which has a very practical and apt ending. Kudos to actress Katrina Kaif (who plays John Abraham’s wife in the movie) for the superb display of her acting skills. John continues to win hearts of millions of fans with his killer looks and pretty descent acting. But a thumbs down for Neel Nitin Mukesh for his dismissal acting. On the whole I would rate the movie a 7/10! Apart from the movie, I feel we cannot generalize Muslim’s as terrorists just because a few terrorists are Muslims. We cannot have such a biased opinion just because of their association to one community. It would only be provoking them! Instead we should all join hands and stand together in these ‘Testing Times’ for the greater good of all. Each of which is a different path to the almighty.